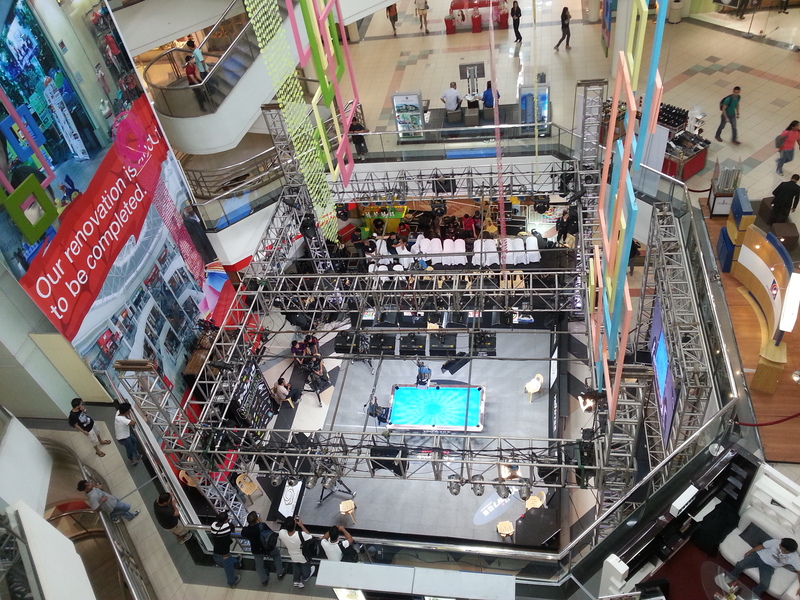 As you can see the tv table venue is spectacular here in Manila. 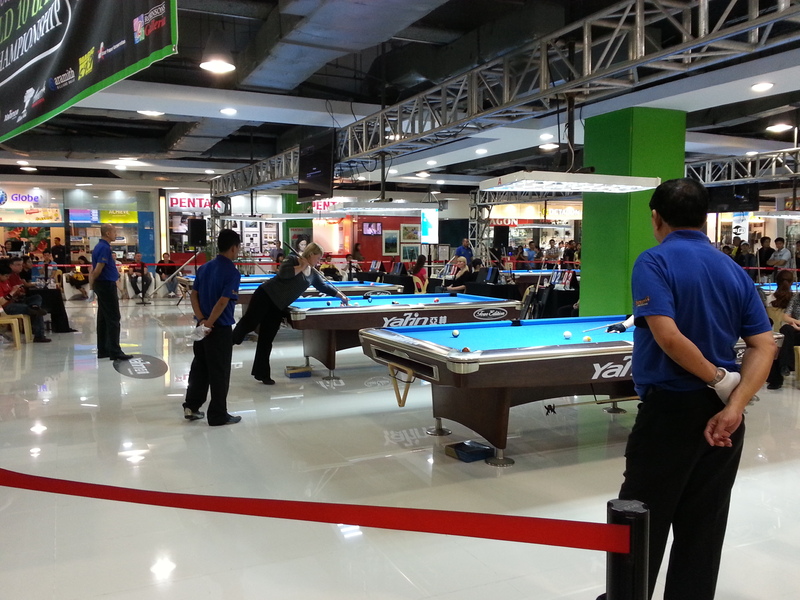 Here it is a sport for everybody, not just for the half crazy people staying inside playing pool all weekends:) The venue is Robinson galleris mall and tha tmeans we have a lot of audience all the time. Which is good for the sport. There is upsides and downsides playing in a mall. As said, we are exposed to the public and that is very good. Personally I have a problem with the ongoing neverstopping noice… You have people talking, babies crying, music from 5 different places as once etc etc. All this make it more difficuly to focus. Add jetlag and you have problem. Which is what happened in my second game yesterday. I played really well in my first match against B. R Jung ( KOR) I hardly missed a ball and I felt really good. Second match (back to back) the jetlag kicked in in the middle of the match. My opponent Y. T Chan (TPE) played good but left me plenty of opportunities and I could not take them. I lost 6-3. Third match (also back to back) I felt better and also played better. So did K. Yukawa unfortunatly. She played really solid and did not leave me much on the occasional miss. I lost 6-2.